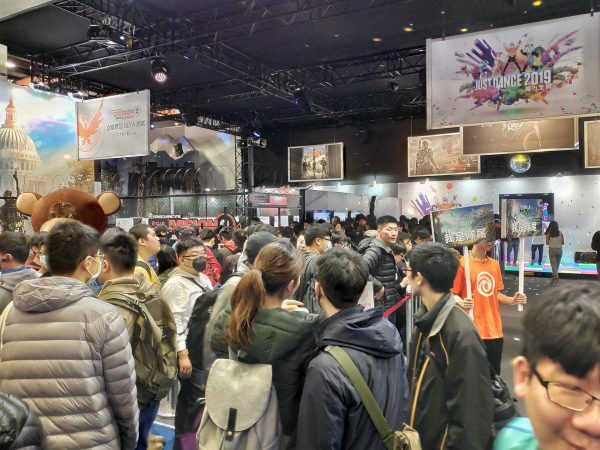 There really isn’t a down season for gaming conventions, and here to kick off the new year is Taipei Game Show 2019. 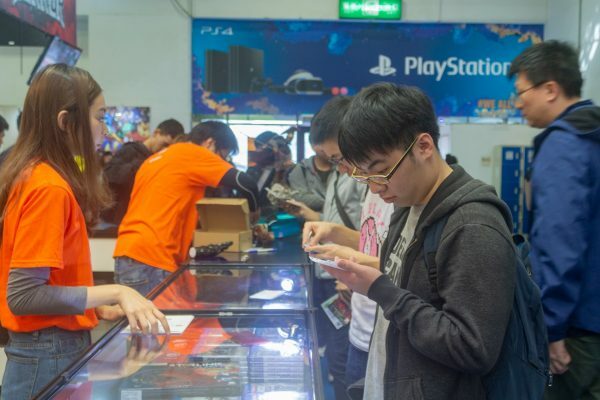 Held from 24-28 January at the Taipei World Trade Center, the show is split across two halls with booths by major publishers, highly profitable mobile games, PC manufacturers, and good old toys and merchandise. There’s even a section reserved for indie game developers and board games, reflecting growing trends in the events industry. 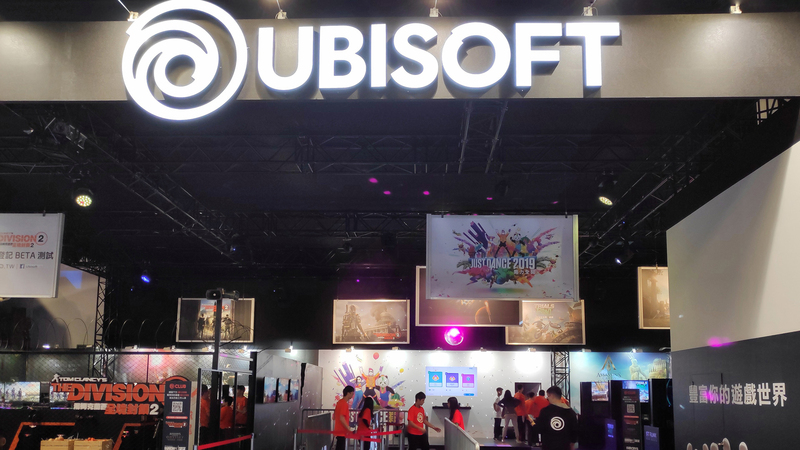 Ubisoft are one of the major publishers present, owners of a gigantic booth poised to draw out those oohs and aahs from attendees streaming in. Here’s a closer look at all they’ve brought to the table. The “front” of the Ubisoft booth, with banners for The Division 2, Just Dance 2019, Starlink: Battle for Atlas and Trials Rising hanging overhead. As any convention goer can tell you: this is merely the calm before the storm. 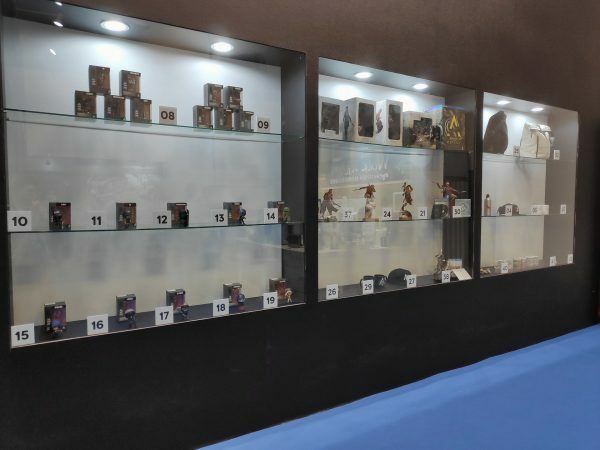 Ubisoft’s collectibles line has been slowly gaining traction over the years, and this is one of the few chances that those in Asia can get to see a wide range on display. We even have merchandise further down the display, such as mugs, bottles, and bags. There’s apparel too, of course. 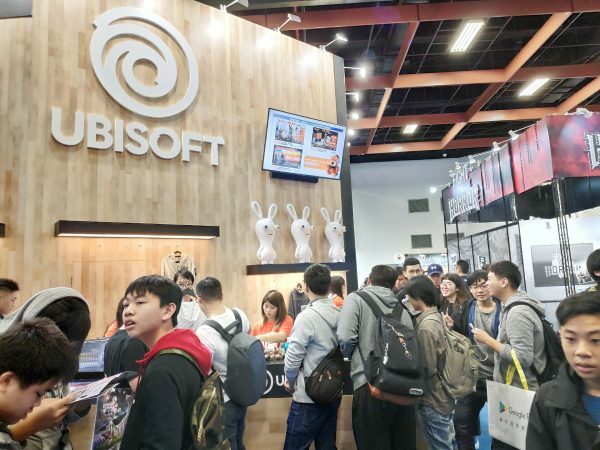 The Rabbids take on a somewhat prominent role given Taiwan’s love for cutesy mascot characters, but other marquee franchises such as Rainbow Six Siege and Assassin’s Creed have their own branded gear on display too. It’s easy to miss given its innocuous spot beside the cashier (as opposed to safely being locked away behind glass), but this is one of UbiCollectibles’ grandest creations so far. 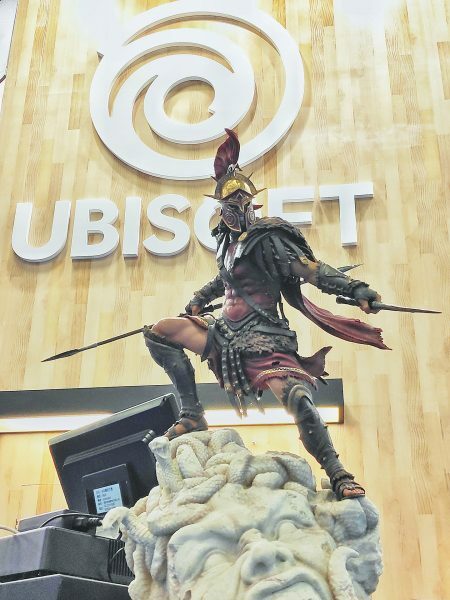 There are only 1,900 numbered pieces of this limited edition statue, featuring Alexios from Assassin’s Creed Odyssey standing atop Medusa’s head. The stunning statue measures nearly 68cm tall, with an equally stunning price tag that crosses the S$1,000 mark. Unfortunately, Tommy isn’t the star of the show here. 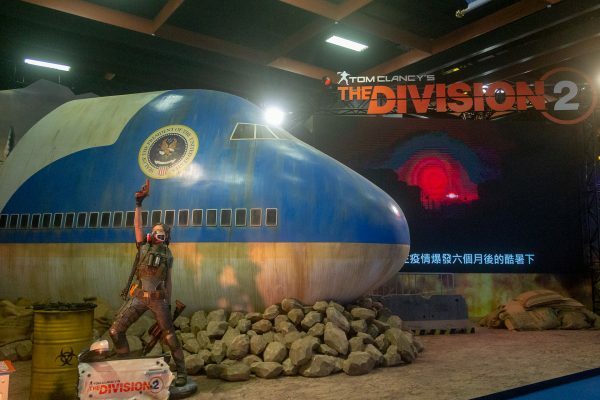 Flanking one of the two main entrances to the show floor is this gigantic diorama for The Division 2, starring the crashed Air Force One plane from the trailers. 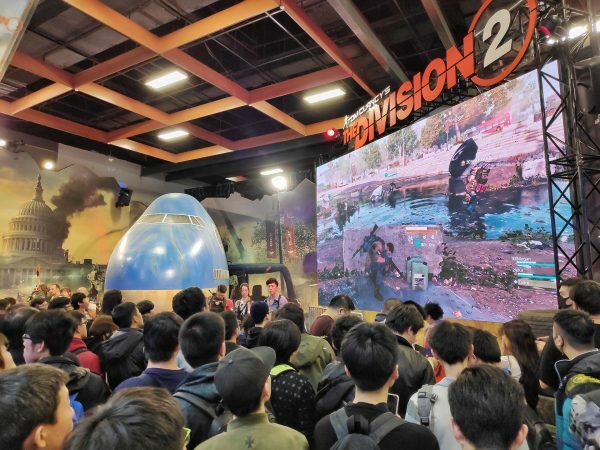 Sure, the scale is off once you take a proper look at it, but what a way to greet the Taipei Game Show crowd — if you didn’t know better, it’s almost like you’re stepping into E3. 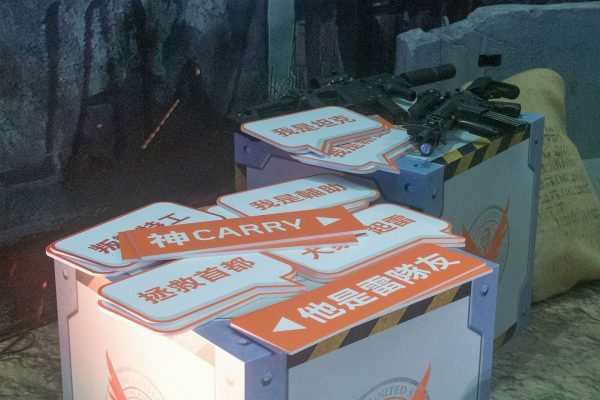 Near the Agent are a couple of crates, model rifles, and placards. 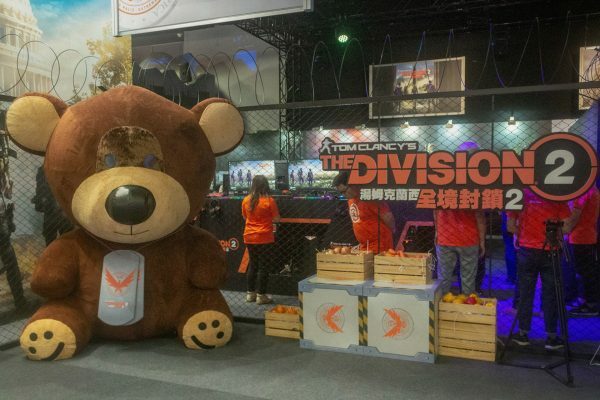 If Ubisoft spent this much money on the booth then clearly they want fans taking photos with it. And the crowd sure loved it. There was was a constant line of people queuing to get a shot with the diorama and props, even on the second day of the show. 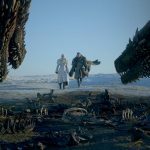 Speaking of crowds, the lines were absolutely massive — all while a trailer for Massive Entertainment’s latest played on-screen. A large number of those heads you see there aren’t the throngs moving through the hall, however, but part of a long The Division 2 queue snaking around the booth. Here’s that proverbial storm in action. 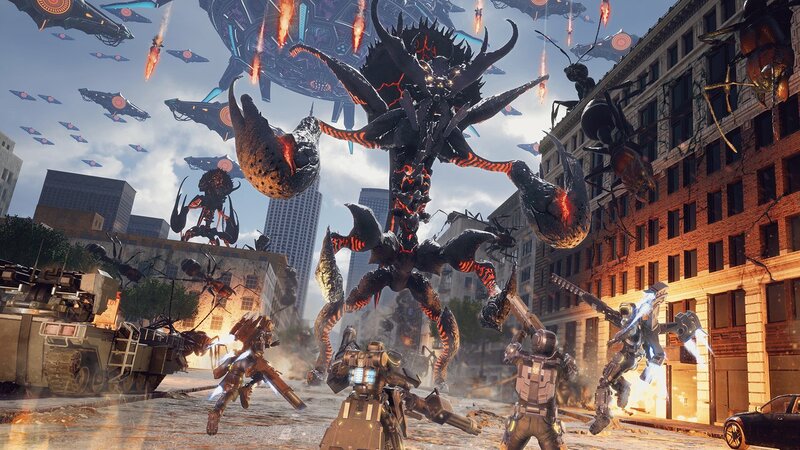 Once again, most of the heads in the left half are there for The Division 2, and fans were more than happy to line up and wait to get a shot at the online open-world shooter. 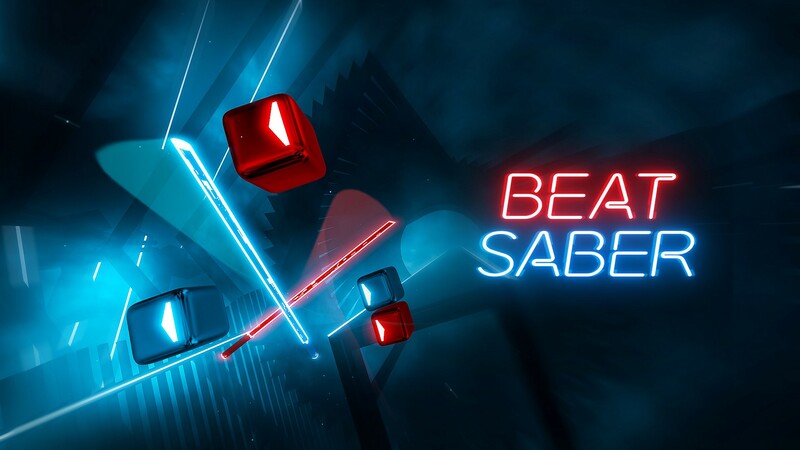 The more curious attendees were rewarded with playable stations for Ubisoft’s other titles. 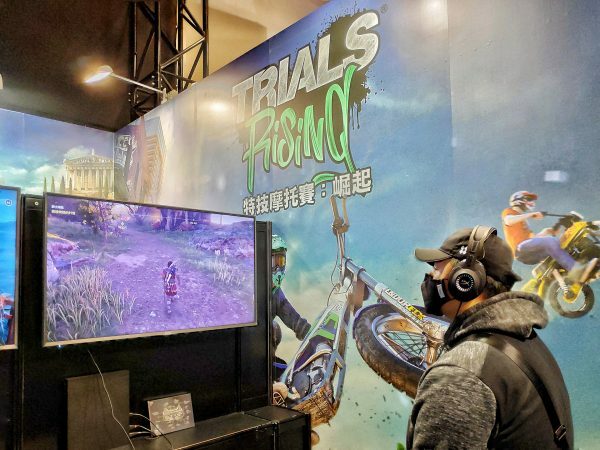 That Trials Rising backdrop is a little misleading in this instance, since the person was actually romping around as a Spartan. Unless Trials somehow has Spartans pulling off sick motocross flips, now. 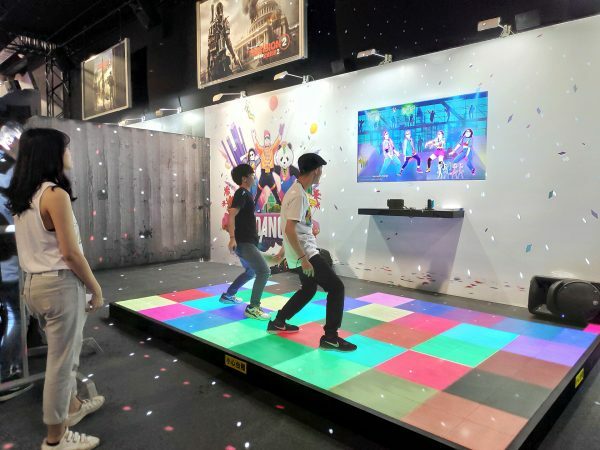 There’s also a large play area for Just Dance 2019, a game that Ubisoft execs are pretty excited about when it comes to competitive and demonstrative potential. 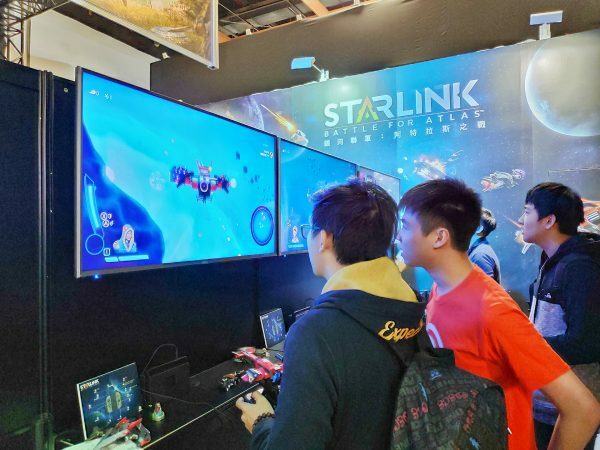 Let’s not forget Starlink: Battle for Atlas, seeing how it’s Ubisoft’s first stab at the toys-to-life genre. Games aside, the crowds were just as interested in picking up Ubisoft’s other physical goods. 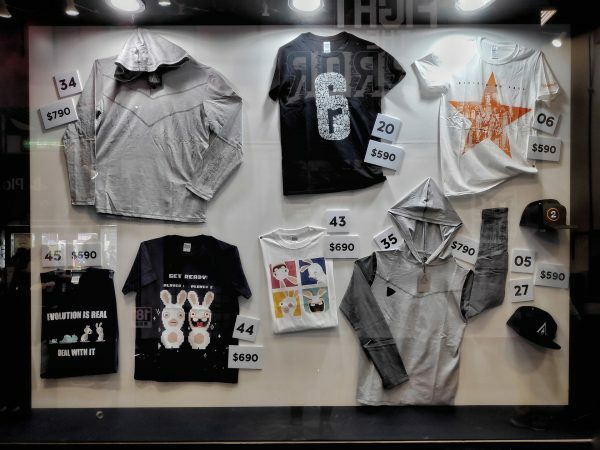 The Rabbids continue being attention-pullers, but what got fans pulling out their wallets were both the apparel and merchandise we saw earlier. 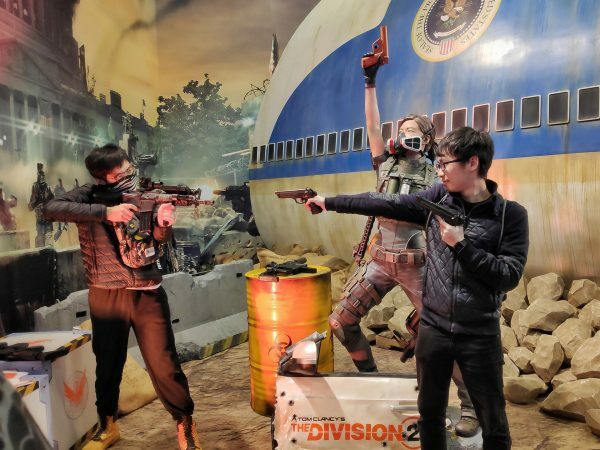 Ubisoft weren’t going easy on their booth presence for this year’s Taipei Game Show, and it’s no surprise to see just how much they’re pushing The Division 2 onto fans’ radars. Curiously absent from the showfloor, however, is Far Cry New Dawn — the spin-off to Far Cry 5 that adopts a thematic twist, much like Far Cry Blood Dragon did for Far Cry 3. 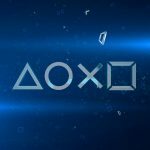 In any case, we have more from Ubisoft in the coming days — including Far Cry New Dawn and The Division 2 — so stick around for more. 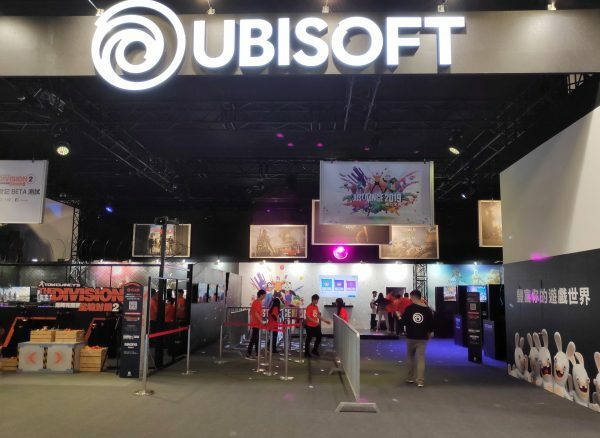 Ubisoft covered flight and accommodation to Taipei Game Show 2019.